Yesterday, December 23, 2011 I walked to Baskin and Robbins at Jalan Kiara to order an ice cream cake for Xmas eve dinner. 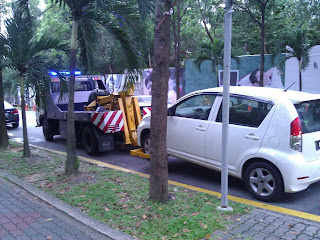 As I walked I noticed the DBKL towing cars on the side road near Baskin and Robins / Odyssey bus. 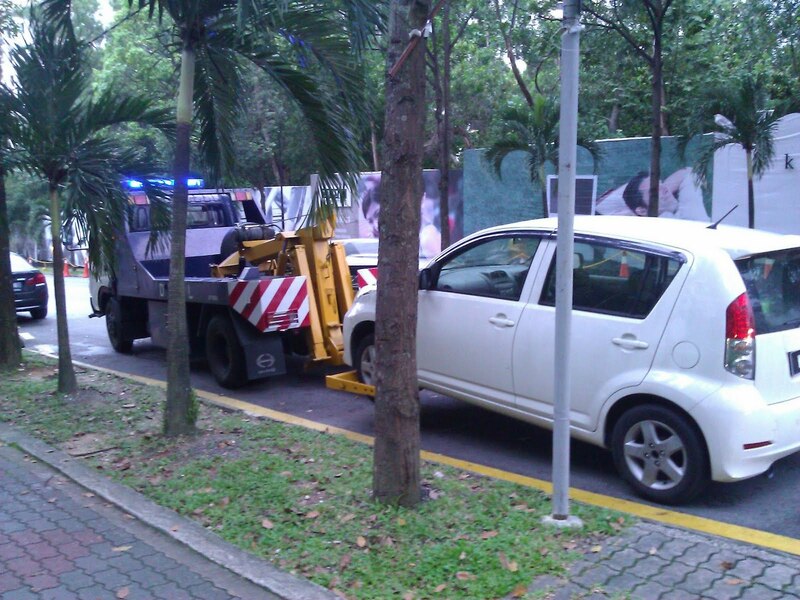 They have been actively towing cars since 2-3 months ago. The good result of that is less congestion at Jalan Kiara since less people park on the streets. I just pity the owner whose car got towed because I was in their shoes awhile back, walking to your car and not finding it!!! What horror! Wonder who owned that Myvi I saw yesterday... poor guy. Speaking about Baskin and Robbins, their ICE CREAM CAKE is wonderful. It makes a beautiful gift. Not only that, it was the super star most well-loved thing at my daughter's birthday last month.... everyone loved it. On the average , if you buy an ice cream cake that will cover 8-12 person, it will cost you around RM100. I guarantee that the children (and adults) will love it. I always order the cake with a base flavor of Chocolate Chip. 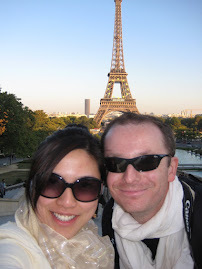 The photo below was from my daughter's birthday celebration last Nov 2011. The Ice Cream cake had different ice cream cones on top (which was 6 different flavors). The children were all eager to get the cones after blowing the cake! 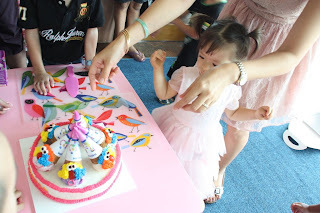 That ice cream cake cost about RM125++ if I remember correctly. I think I will always buy an ice cream cake for my daughter's birthday -- to continue an old tradition. Back in the Philippines when I was young, my parents always ordered an Ice Cream Cake (from Magnolia) to celebrate my birthday.... happy memories!